Garden products must be at the top of your “to do” list if you are planning to create your Garden. When you start to create your garden you want it to look amazing. There are different garden products that are out there, that will make your garden look great. 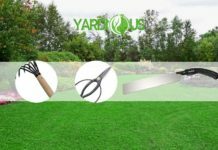 There are different products that are connected not only with the design of your garden but also tools and equipment that’s necessary. Below we are going to present different garden products that you might find handy when you’ll start preparing your garden. There is a wide variety and there are stores and nurseries that you can find them and buy them. They can be expensive or not. What’s important is that there is always a variety to choose from. One essential garden product is the plant containers. You can plant almost any type of plant that you want. In this way, you can have them either indoors or outdoors. There are the hanging planters, the plastic pots, the desk planters, the terrariums, the decorative pots, the ceramic planters and the vertical garden. You can have any color that you like and any design that you like. These garden products are essential. The types of container that you will choose are up to you. You can always combine different colors and designs. There are different prices to choose from. Definitely, you’ll find something that you want. When you have a garden with amazing flowers, trees, and vegetables it doesn’t mean that you can’t have stylish accessories. There are lovely garden products that will provide your garden with a different extraordinary look. You can have slate raw labels or even copper ones. You can label your plants and vegetables and you will know which one is which but with style. You can also have a baby elephant that is a watering can and you can have it in different colors too. Another garden product that you need is a pair of gloves. You don’t need to wear the ordinary black or green ones. You can choose ones that have designs on them, are breathable and aren’t expensive at all. If you don’t want to kneel on the lawn there is the padded kneeler. You can move it anywhere you like. It opens and closes easily; you can carry it everywhere you want to without hurting your knees anymore. If you think that this one is expensive then you could use a memory foam kneeling pad garden product. It is handy too, and you can find it everywhere. In this way, you will protect your knees. A storage apron is also a great and useful accessory. You can keep your tools, your phone and what you find that is necessary each time. It will protect your clothes, you will have your hands free and you’ll be able to move around freely without worrying that you’re forgetting something. Finally, an important accessory would be the gardening clogs. You can wear colorful ones or choose a pair that will have a design on it. Choose a waterproof one and have these ones for your garden. In this way, you will be able to do whatever you like without worrying about the shoes. Additionally, you can rinse them off quite easily form mud and dirt. You will enjoy wearing them because they are comfortable. Power tools are other garden products that are necessary for your garden too. There is a big variety of these tools. Mowers and tractors are a category on their own there is a big variety to choose from with different prices. There are generators that have portable power so as to work easier. Additionally, there are the outdoor power tools. These tools are the blowers, the chainsaws, the pressure washers, the trimmers and the steel brush cutters. Depending on what you have to do you will find the appropriate garden product. There are falcon saws and petrol chainsaws it’s up to you to choose. This is another category of garden products. This category includes the gardening tools sets that you will need in order to dig and plant your flowers. 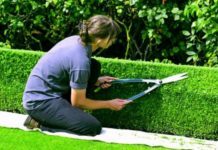 There are also pruner shears in different colors, garden scissors, hand weeders, and grafting stretchable tapes that are moisture barriers plant repair clear. There are also irrigation components that you can use. There are tap adaptors and duty mobility aid litter pickers. There is generic Greathouse garden solar power sonic wave mouse snake repeller. There is no limit on the garden products that will find, it always depends on what you actually want to do. This category of garden products is the biggest one. There is an unlimited variety of seeds that you can plant in your garden. It’s your choice. You can plant grass seeds, cacti and succulents, trees, vegetables, fruits and flowers. Each category contains different varieties you will choose whether you want flowers, tomatoes or trees. You can always have a variety if you want to. There is no limit to what you can plant in your garden and to your imagination. You can also find different types of fertilizers that can have a liquid form or can be dissolved in water. You can find different manures and compost for your soil. These garden products will help you grow healthy and amazing flowers and many more. There are seed starters that are a great help especially if you are a new gardener. 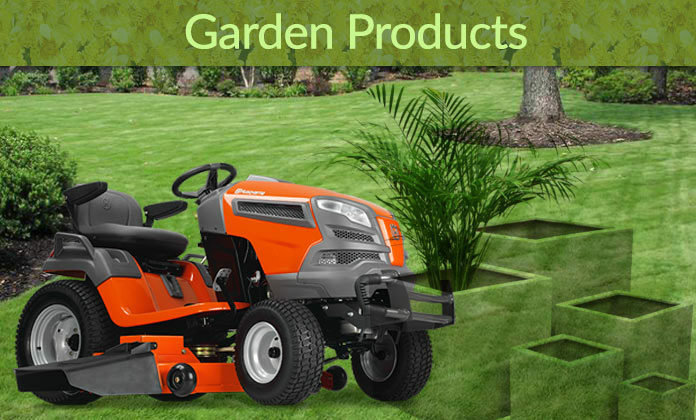 There is no limit to the garden products. There is a big variety to choose from. 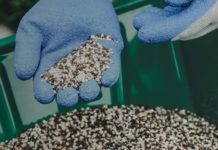 Each category from the plant containers to the fertilizers and the seeds has their own categories. As a result, you can choose different ones and combine them too. You can have color in your life. Tools can be colorful. There is no limit. All you have to do is to create a list of all the products that you need. Whether you are a new gardener or an experienced one create a list of things that you need to have or replace and go for them. You want to have an amazing garden that you will love spending your time.